The theater was filled with 150 employees from a call center. Each one of them elated to be anywhere but work. Except 1. He didn’t even want to be there. Maybe he was having a bad day, or maybe he was that kinda guy. The young man (let’s call him Jason) was in his late 20’s. He entered the room and immediately took his seat in the last row of the theater. No one approached him and…. What value does a Charismatic Connector bring to a company? Better yet – how about a team of Charismatic Connectors? Science proves these teams can be upwards of 68% more effective. 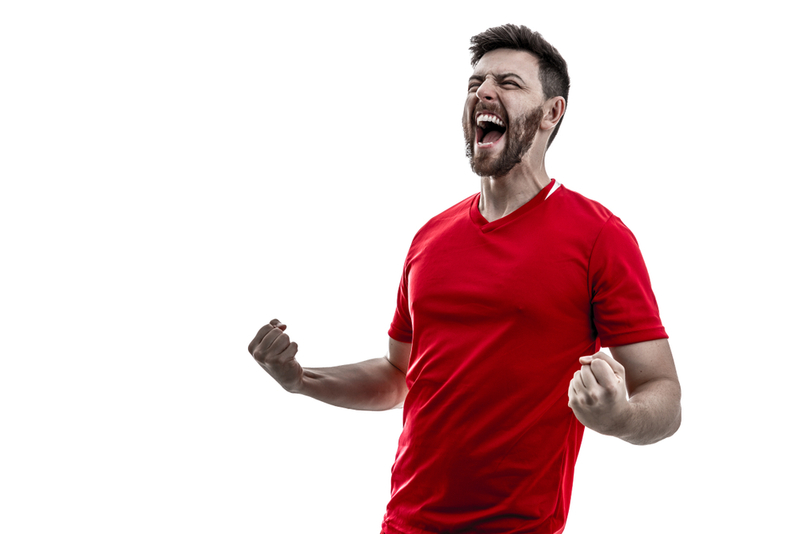 Charismatic Connector employees are more engaged, connected and feel like a valued asset. Engaged employees are individually 31% more productive, average 37% higher sales and are 3 times more creative! 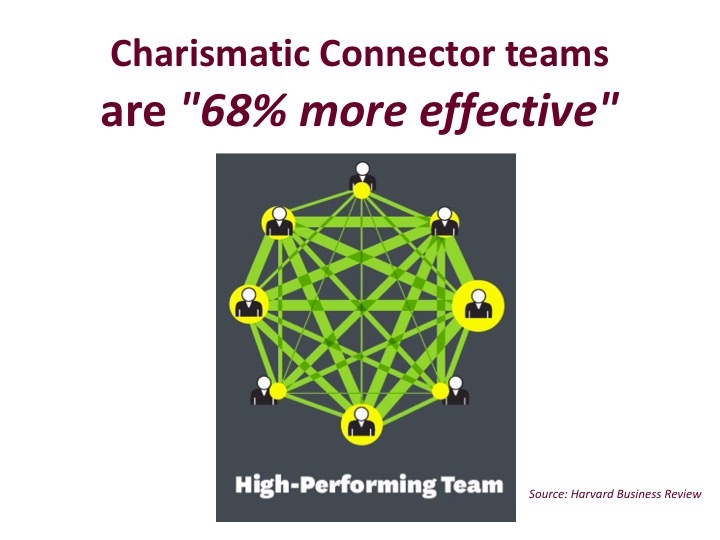 Charismatic Connectors are labeled as “The Ultimate Team Player” by MIT & Harvard Business Review. BUT! Where are you going to LEARN these kinds of behaviors, techiniques and skills?? 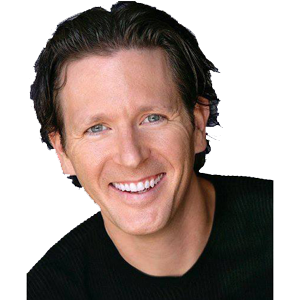 For 22 years, Jef Rawls has taught improvisational FUNdamentals and competencies, not only to hundreds of successful performers and entertainers, and literally thousands of students of all ages, but also coaching business professionals and teams at companies such as Target, GoDaddy, Intel, Discover Card and AutoZone. From the front desk to the C suite – A Charisamtic Connector is leadership on all levels. Jef also shares his 17 years of business leadership. A well balanced understanding of innovation and bottom line. He brings years of professional development through creativity, communication and team building. Jef inspires each student to actively increase their confidence, connections and charisma. Jef’s energetic, engaging and experiential trainings elevate students to be competent and capable offstage and in life! This Team Training is designed for individuals (and teams) to get more out of your connections by developing and optimizing your personality and communication. Combining the science and art of communication with the FUNdamentals of improvisation and customer service – Jef takes you through a series of role-play, activities, conversations and creativity exercises that will enlighten and inspire you to BECOME a Charismatic Connector! We will be discussing how to apply these behaviors in the work force. In attendance will be seasoned business owners, managers, employers, customer service workers of all ages, teachers, lawyers and working professionals. You must be at least 16 and legally work in AZ to attend. However, you do not need to currently be employed to attend. We will provide water, soda & light snacks. Feel free to bring your own snacks and non-alcoholic beverages. Bring a notebook to take notes. Bring a friend or coworker too!! I noticed this is at a comedy club. Is this gonna train me to be a comedian? NO!! We do offer comedy classes at the JesterZ theater, but this training is not geared towards improv, comedy, theater or acting. 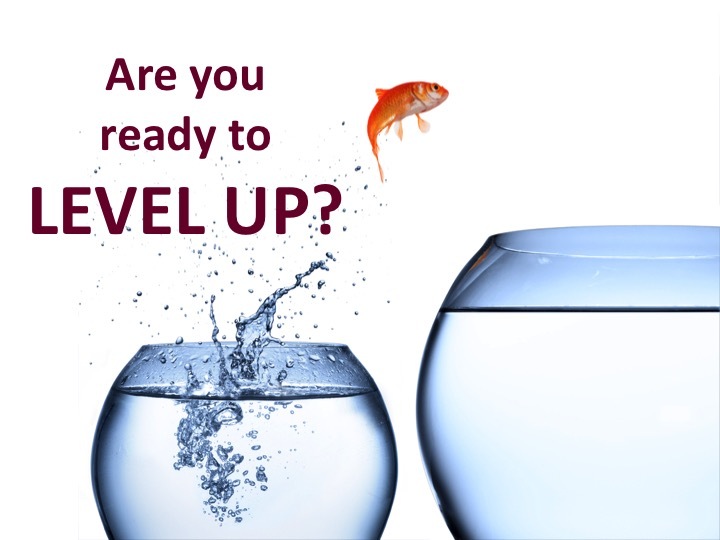 However, we will utilize the FUNdamentals of the communication, confidence, creativity and character development that is also taught in our improv classes to focus on stronger connections combined with personality development. Will this be a lot of sitting around preaching from a PowerPoint? NO!! Jef’s style of training is interactive and engaging. Wear comfortable shoes for standing and movement activities. For 22 years, Jef Rawls has taught these competencies, not only to hundreds of successful performers and entertainers, and literally thousands of students of all ages, but also coaching business professionals and teams at companies such as Target, GoDaddy, Intel, Discover Card and AutoZone. He brings years of professional development through creativity, communication and team building. Jef inspires youth to actively increase their confidence and charisma. Jef’s energetic, engaging and exploratory classes elevate students to be competent and capable offstage and in life! It is recommended 16 and older. We will be discussing application in the work force. However, you do not need to be a working professional to attend. The communication techniques taught apply to parents & social situations we encounter. We will provide water, soda & light snacks. Feel free to bring your own snacks and non-alcoholic beverages. Bring a notebook to take notes. Dress comfortably we do movement and wear comfortable shoes for the standing activities. There are no refunds for this event. You may transfer to another date or gift it to someone to attend in your place. Yes. To streamline check in, please bring a printed ticket, or have your QR/bar code on your phone ready for scan. Yes. Because we don’t offer refunds, you are welcome to transfer your paid ticket to someone else.